On August 7, 2016, Google rolled out a seemingly small but incredibly significant update to the manner in which it displays local businesses within its web results. Instead of the traditional 7-pack map results, Google updated its format to display a greatly reduced (but expandable) 3-pack local listing format (aka Google Local Snack Pack). What is most significant about this update though is not the change in the display format itself, but the frequency with which the new 3-pack local listings show up and their visibility in the search results, compared to the previous 7-pack of results. 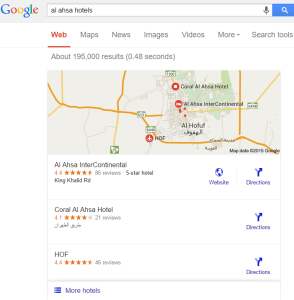 Google’s focus has been shifting heavily towards localizing search results over the past year for keywords that either have an expressed or implied local intent. This can be seen in their Pigeon update, map changes, the coming and going of local carousels, and even their mobile friendly update. Our data science team first noticed the new local listing 3-pack show up starting in March/April within the hotel, vacation rental and restaurant industries. The format change rolled through UK, Australia and then Brazil since then for those industries. It’s only now, after about 3 months of originally introducing it, that the new format been completely rolled-out to nearly all keywords with a local intent. The chart below highlights the dramatic shift in count of keywords that displayed the old 7-pack map results vs the new 3-pack local listings across our research data set of 1 million keywords. HOW EXTENSIVE IS THE IMPACT? In order to quantify the true impact of this change, we took our research data set of >1 million keywords and went about determining the comparative visibility of map results vs. local listings. The above methodology narrowed down the keyword set to 53,074 keywords. Astoundingly, the new local listing format shows in the #1 rank position 93% of the time – a HUGE increase from the 25% of time that the old 7 pack used to show in the #1 position. The effects of this change depend on your Enterprise presence. One thing, however, is clear: it is the most disruptive change Google has made to search results in a while – aside from its regular algorithm updates. The new prominence of local business results means that web-only enterprises that have for years focused on traditional search optimization – and have, as a result, built up tremendous authority and visibility – could be pushed down the page by as many as three rank positions, by companies with a well-optimized local presence. Take the example of a company such as Hotels.com. 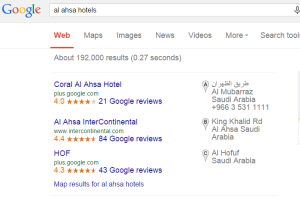 According to seoClarity’s proprietary keyword research database, it ranks in the Top 10 rank positions for >600,000 hotel-related keywords. This new Local Pack format change means that their true SERP rank has fallen by at least 1 position across 93% or more of those keywords! Given the difference in click-through rates for each rank position in the search results, falling from No. 1 to No. 2 could lose them between 20 and 30 percent of traffic for those keywords. The potential impact of this is huge for such web-only enterprises. Looked at another way, however, this switch represents a huge opportunity for both enterprises with physical locations and smaller local players to monitor and optimize their online presence. This includes travel agencies, hotel chains, car dealerships, pharmacies, auto parts store and other product and service providers which, for years, lacked the budget, expertise, and cachet of larger competitors — and can now leapfrog their well-heeled web-only competitors and jump into the #1 spot by focusing on local SEO and optimizing their local business listing. HOW CAN YOU TRACK THE IMPACT? Irrespective of whether this is an opportunity for your Enterprise or a threat, it is important to have visibility into the local pack’s impact on your competitive landscape. And if your Enterprise has physical locations, your rankings WITHIN the local pack are now an area you have to focus on improving your visibility.